Stephen “Chris” Taylor, 44, of Eddington. He had a life long struggle with uncontrollable Grand Mal seizures and he succumbed to this disease in the early morning hours of Monday, November 19, 2018 at Eastern Maine Medical Center in Bangor. His mother Pauline Bell and foster mother Elaine Suzor were there by his side holding his hands. 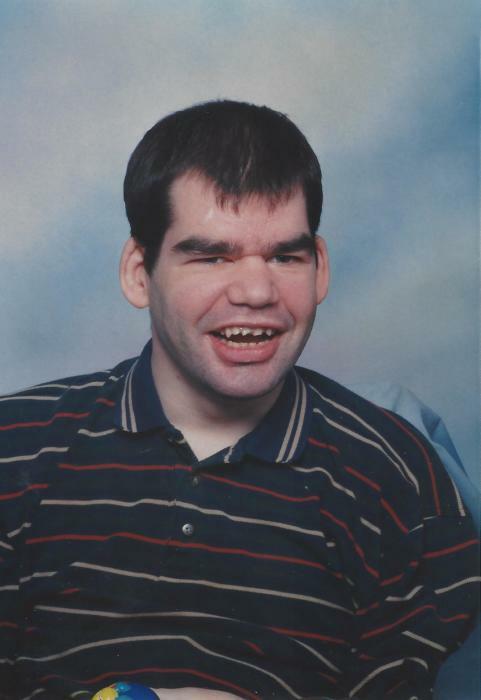 Chris was born on January 20, 1974 in Machias, the son of Stephen C. Taylor and Pauline (Bourque) Bell. He graduated from Brewer High School, class of 1995. He loved to be in the kitchen, family and friend called him “Emeril the second” he also loved music and was always happy. Pauline says, “ It was a privilege to raise him”. Chris is survived by his father, Stephen C. Taylor of Pembroke, his uncle Robert Taylor, and aunts Barbara and Sara. His mother Pauline Bell and step father Eugene Bell of Oakland, brother MSG. Joe Taylor and his wife Diane of El Paso , Texas, aunt Louise Cunningham and her husband, Robert of Veazie, foster mother Elaine Suzor of Hampden Nieces and nephews, Jessica and Hannah Taylor, Catherine and Luke Cunningham, Samantha Roseberry and Thomas Conn. The family would like to thank the staff and administrators at Commonsense Housing in Eddington as well as Sue and Lance for their kindness and care. A graveside service will be held in the spring in Bingham Village Cemetery. Arrangements are under the care and direction of Giberson Funeral Home, Bingham. To send an online condolence to the family, please visit, www.gibersonfuneralhome.com.